running Feb 3-17. The Roxie Theater in San Francisco will be hosting the 13th annual fest with 85 new indie films from around the world. 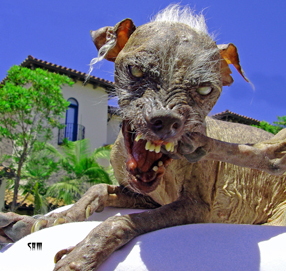 Did you know that the world’s largest ugly dog contest is held every year at the Sonoma-Marin Fair, Petaluma, CA? What’s not to love about ugly dogs? Worst in Show amazes us with nature’s diversity. Who knew there were so many ways to be ugly? Ugly is manifested via genetics, injury, and illness. What starts out as a happy freak show evolves into philosophical ruminations on morality. The dogs don’t know they’re ugly, they’re just basking in the attention. We meet a lot of quirky pet guardians. Some appear to be beyond emotionally involved in this supposedly light hearted contest. Rivalries are revealed, hearts are broken, and lives are literally transformed. A quick google reveals an obsessive amount of international press at this annual anti-beauty contest. There’s a lot of intellectualism packed into this 90 minutes, but admit it, don’t you want to see what their owner’s look like? If you’re in the SF Bay Area, check out the Indie Film Fest. 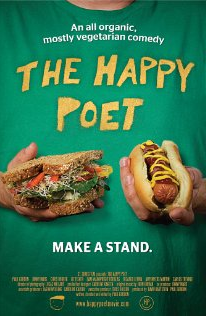 I highly recommend you see The Happy Poet. Our hero Bill attempts to transform a hot dog cart into veggie paradise. Poor guy has his idealism constantly challenged in the battle between his principles and his wallet. Along comes a pretty customer named Agnes and Curtis, a man with no visible means of support who becomes his delivery partner and friend. Watch the relationships twist and turn. this dog image is horrific! what a strange movie to make! lets go see this one! or we can wait and to the actual festival….